When you’re the one that I’ve kept closest. These are the pills that I take every day. I would say, “These are the pills that I take every day to keep me stable” but that would be a lie. I am unstable. You take paracetamol for your flu, you will get better. You take antibiotics for your chest infection, you will be cured. I take thousands of pills for my disease, which is terminal, incurable. I spend thousands of pounds and I wait hundreds of minutes to receive the pale green prescription which grants me access to these drugs. Every evening meal is ruined by the pills by my plate. Every dinner in every fancy restaurant, every holiday that I get stopped at customs, every gig that I get questioned at, all tarnished by these drugs. I choke them back with water, wine, vodka. I eat them with food. I forget to take them. Or I don’t bother at all. Nausea. Headaches. Sweating. Tremors. Palpitations. Delusions. Hallucinations. Suicidal ideations. Side effects. Would I be dead without them? Would I be stronger mentally if I didn’t take these? Or would I be just as sick as I was the day that I swallowed that first pill back in 2006? Fluoxetine. Citalopram. Venlafaxine. Aripiprazole. Quetiapine fumarate. Lithium carbonate. Propranolol. Diazepam. Lorazepam. Alprazolam. Cocaine. Champagne. What’s it all worth, eh? That’s because it isn’t a lot. 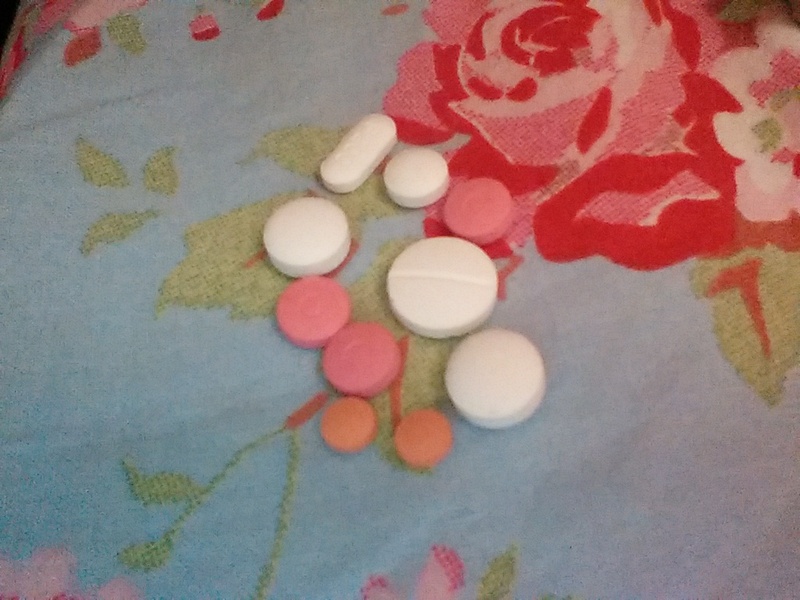 But you see the little pink pills, the three pink pills I am supposed to take morning, noon and night? Sometimes I take 15 of those, in one go. But your heart will slow down until it doesn’t beat at all. I would say, “These are the pills that I take every day to keep me sane” but that would be a lie. I am insane.